You’ve likely heard of quite a few wrongful death cases that have made the rounds in the media. Nicole Brown Simpson. Phil Hartman. Aaliyah. 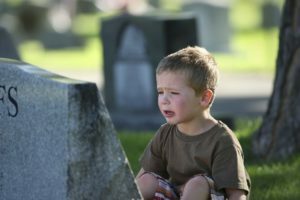 But what exactly is involved in a wrongful death case? If you have lost a loved one due to the wrongful actions or inaction of another person, we can help you understand your rights under California wrongful death law. Call Russell & Lazarus APC today at (949) 851-0222. Criminal lawsuits arise when someone commits a crime or violates a criminal law. In a criminal suit, the state brings charges against a person in front of a judge or jury. A civil lawsuit is initiated by an individual or organization that has been harmed in some way by someone else. Civil lawsuits seek specific actions or monetary compensation. A wrongful death case is a civil lawsuit; however, criminal cases often arise from the cause of wrongful deaths. Wrongful deaths occur when a person or company acts negligently or recklessly or fails to act and causes the death of a person. Those actions or failure to act can sometimes violate a criminal code. If a person commits a crime and causes a death, the state may file charges against them in a criminal case. The family of the person who died may also file a civil lawsuit to receive monetary compensation. Auto Accidents – Motor vehicle accidents often occur due to driver negligence, defective car parts, or unsafe roadways and environmental conditions. Plane Accidents – When pilots make mistakes or airlines fail to maintain safe airplanes and airports, passengers and bystanders can be injured. Train Accidents – Because of their immense size, trains can cause devastating injuries when they derail or crash. Defective Products – Companies are responsible for making sure products are safe for consumers. When they do not, they are liable for injuries that occur. Medical Malpractice – Negligent doctors and dangerous medical devices can cause serious injuries for patents who expect proper medical care. Dangerous Premises – When amusement parks, malls, residences, and other locations are dangerous, they can cause serious accidents that result in death. Workplace Hazards – Dangerous jobs in industries such as construction, manufacturing, and public service can result in deadly medical conditions and fatal injuries. Intentional Harm – Murder and other criminal acts result in the death of a person that is wrongful and causes harm to entire families. Situations that cause wrongful deaths are often promoted in the media. This presents difficulty for families, but also gives people examples of wrongful death cases. In 1994, professional football player and actor O.J. Simpson faced a wrongful death charge with the death of his ex-wife, Nicole Brown Simpson. Although O.J. received in an acquittal in criminal court, the court helped him liable for her death in a civil court when her family sued him. Her family was awarded $33.5 million in a wrongful death case. Dangerous drugs can cause serious injuries and even death. In 1998, comedian Phil Hartman died when his wife, who was taking Zoloft for depression, shot him and then killed herself. Wife Brynn Hartman’s family sued the maker of Zoloft, Pfizer Pharmaceuticals, claiming that the drug caused her to go insane. In fact, many different types of drugs have been responsible in wrongful death cases. When singer Aaliyah died in an airplane crash in 2001, her parents filed a wrongful death lawsuit against the airline company as well as Virgin Records for providing unsafe transportation to their daughter. It was found that the pilot was unqualified, inexperienced, and under the influence of cocaine and alcohol. Additionally, the plane was overloaded and the airline company had been cited for violations. In 2003, the wrongful death case involving Aaliyah reached a confidential settlement. The Ford Pinto was an extremely popular car in the 1970s. However, the company designed it in such a way that the gas tank could easily rupture in a minor rear-end collision, resulting in a serious explosion. Ford eventually recalled Pintos due to the design defect; however, many people died in explosions in the cars. Recently, Japanese company Takata installed millions of defective airbags in several models of cars. Those airbags explode upon impact and cause metal fragments to fly throughout the interior of a car. At least 11 deaths occurred due to Takata airbags. If your loved one has been fatally injured in a wrongful death caused by someone else, contact the experienced attorneys at Russell & Lazarus APC today. We will guide you through your wrongful death case and help you obtain the compensation you deserve. Call us today at (949) 851-0222.